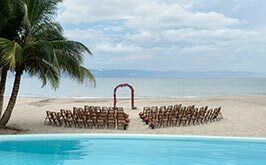 One of the most-loved qualities of a destination wedding is gathering all of your friends and family together, in one place, to celebrate. In a perfect world, we'd all love to do this regularly, but these gatherings don't end up happening as often as we'd like. It's so important to take full advantage of these priceless moments when everyone is close for a few days in the tropical paradise of Los Cabos. If you're planning your upcoming destination beach wedding in the gorgeous desert and ocean landscapes of Grand Velas Los Cabos, we recommend taking a few days prior to your big day to soak up the sun and fully experience all the wonderful things to do in Los Cabos - the destination considered a luxury destination wedding getaway. Here are a few tried-and-true activities you can do as a whole wedding party, or split up into groups of guys and girls, to take advantage of the sun and the sand in a new way! 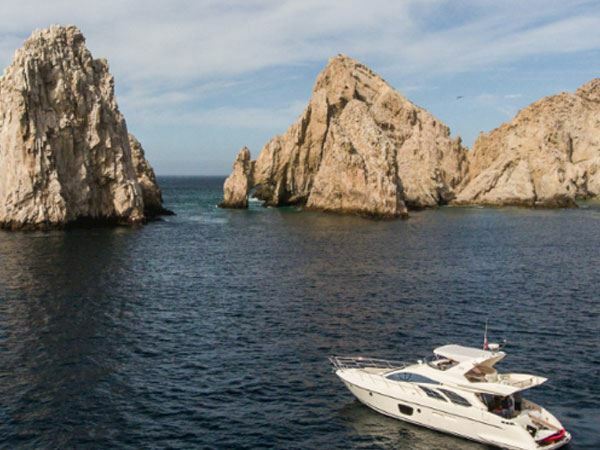 Bring your favorite, flowing sundresses and embark on a luxury sailing tour to navigate the bay in Los Cabos from the sumptuous point of view of a luxury yacht. 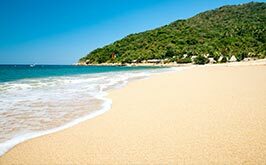 Sip champagne while cruising alongside fascinating rock formations and pristine beaches with your best ladies. A signature sailing experience by Velas Resorts is the perfect bridesmaid getaway to relax in style prior the wedding festivities. Delight in a sunny day that is not only breathtaking, but also presents countless Instagram-worthy moments around every turn. 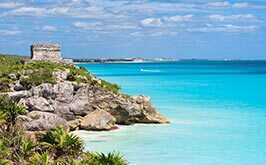 The crystalline waters are warm and inviting, perfect for jumping in and snorkeling among the tropical fish or stretching out on Lover's Beach and the famous Arch as your backdrop. We recommend embarking on an afternoon sunset sailing charter to capture the essence of the rose-gold and lavender dusk hours in Los Cabos. While the girls are off enjoying the soft sea breeze aboard a luxury sailboat, the groomsman can get adventurous on an adrenaline-pumping ATV tour through the desert of Los Cabos. Explore the rugged terrain from an off-road vehicle such as a Jeep, ATV or a desert buggy. Revel in the breathtaking scenery along the extreme back roads, passing through desert vegetation, untouched beaches, river beds and along rocky trails. If your groomsman are adventure lovers and thrill-seekers, an ATV tour is one of the best things to do in Los Cabos. 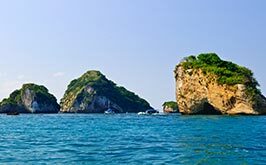 Cabo San Lucas is world-renown for sportfishing. The Baja waters are full of world-class bullfish and prized catches like Tuna, Snapper, Marlin, Mahi Mahi, Wahoo, and more. People from every corner of the world come to Cabo San Lucas to fish. Celebrate a day at sea with your best men on a deep-sea fishing tour aboard a top-quality fishing boat charter. There are a wide variety of charters to choose from that will deliver a great experience and leave you with legendary memories to share with your best men. What better way to embrace luxury and relaxation, for both men and women, than at the enchanting SPA SE located on site at Grand Velas Los Cabos. Discover exclusive spa treatments and an immersive hydrotherapy water ceremony designed to renew and revitalize the body from the outside in. A spa retreat is the perfect way to relax, be pampered, and let any pre-wedding jitters melt away in the presence of close friends and relatives. Outback and Camel Safari - A Great Day for Everyone! If you're looking for a unique getaway to enjoy the spectacular desert landscape of Cabo San Lucas and the surrounding Baja California region, taking a camel ride is the perfect choice for your wedding party. A camel ride tour is both safe and enjoyable for the whole crew. 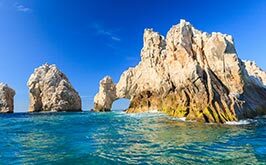 Ride over the smooth Los Cabos desert and alongside the magnificent Pacific Ocean to enjoy the refreshing sea breeze and the crashing waves on this unparalleled eco-tour. Pose for a very original photo session with your wedding party and maybe even get a soft camel smooch! If you're looking for an exciting day and spectacular pictures for your photo album, there's no better tour to take. 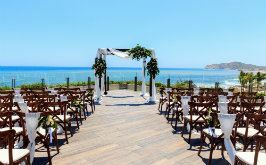 Beach weddings in Mexico are truly magnificent and the landscapes at Grand Velas Los Cabos provide the ultimate destination wedding backdrop. 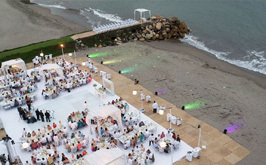 Los Cabos is one of the best destinations for weddings in Mexico, and at Grand Velas, we'll make sure you have a priceless destination wedding celebration that is uniquely you, with luxury and style. 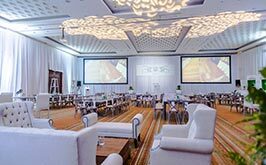 Let our team of seasoned wedding planners take care of it all, even the finest details, so that and you and yours can simply dedicate yourself to enjoying the moments of your unforgettable day. 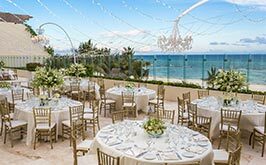 Visit us at Velas Weddings to discover our lavish wedding accommodations in the best destinations for weddings in Mexico: Grand Velas Los Cabos, Grand Velas Riviera Maya in Cancun and Playa del Carmen and Grand Velas Riviera Nayarit in Puerto Vallarta.